Through one-on-one coaching sessions, I am committed to helping you make positive, sustainable changes to your lifestyle and food choices. I will empower you to adopt transformative habits that position you on a clear path to a healthier, happier future focused on both quality and longevity. As a Certified Personal Trainer and Fitness Coach for more than 23 years, I understand the human body and the factors that may need to be adjusted as you age. I create personalized fitness programs that make sense for your specific needs, using a goal-driven approach to achieve optimal results. Knowledge is power. I believe that living a healthy lifestyle, and choosing fitness and wellness are well within everyone’s reach. Tapping into my years of coaching experience, I facilitate numerous workshops, corporate programs, and group coaching events to help motivate and inspire participants to “own” their wellness, and become healthier, happier individuals. 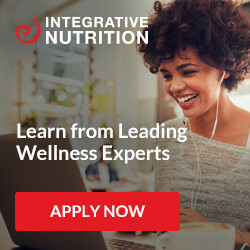 Debi Carlin Boyle is a fitness and nutrition professional with over two decades of experience in the fields of health and wellness as well as commercial production. Her credibility in these fields is well established, having worked at some of west Los Angeles’ most prestigious gyms and with a numerous group of fitness and health enthusiasts which include David Duchovny, Nick Nolte, Kyra Sedrick, Kevin Bacon, Gabrielle Reese, Jamie Kurtz, David Steinberg and Jennifer Beals, among others. A believer in the fundamentals of fitness and diet rather than fleeting trends, Debi helps her clients maximize their genetic potential through her back-to-basics approach. By following her balanced exercise and diet regimes, her clients see results that are not just dramatic, but more importantly lasting and sustainable for their continued healthy lifestyles. Debi is spreading her no-nonsense and holistic approach to health and wellness through online video blogs, magazine articles, her live streaming radio show BalancedLife, Conversations Connecting to a Healthier You ( UBNGO.COM), her soon to be released book on Aging Young and other multimedia content. Her authentic and creative approach to health is a breath of fresh air in a market saturated by so-called ‘quick fixes,’ and her extensive experience in production gives her an accessible and transparent voice. Debi's goal is to help the widest possible audience achieve a long and healthy life. Thank you for your submission. We look forward to keeping you up to date on news, events and monthly fitness motivation! Want to advertise with us? Please contact info@careercardio.com for advertising opportunities.